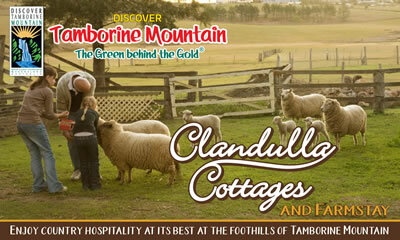 A trip to Tamborine Mountain is not complete without a visit to the regional “Botanic Gardens”. 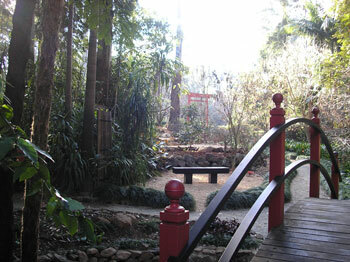 It is a great place to spend an hour or so in delightful settings that are constantly changing with the seasons. Whether you explore every path and garden setting or just sit and enjoy a picnic with friends, you will have a memorable time in our Botanic Gardens. 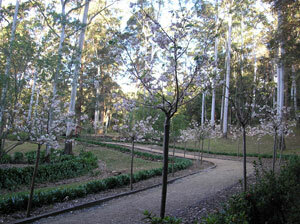 Designed as a series of boutique settings, the Botanic Gardens has specimen collections from all over the world. There are large seasonal displays of Camellias, Magnolias, Gardenias, Azaleas and Rhododendrons including Vireyas. You will be delighted by the Rose garden and impressed by the large collection of perennials, Bromeliads, Clivias and Hydrangeas. 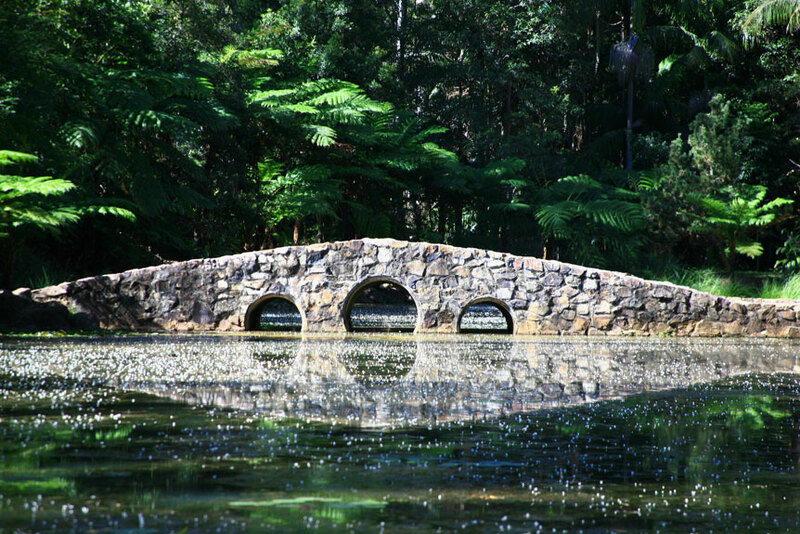 Placed alongside the Tamborine Creek, the Japanese garden has its own special appeal with selected Camellias, pruned shrubs, bridge and pond. Here, you will also find one of the 10 contemplative sites which are placed in specially chosen settings throughout the Gardens to allow visitors to rest awhile and enjoy the ambience of the surrounds. Many specimen trees are planted in the extensive lawn area and the delicate Maples are a delight in autumn, as is the avenue of Cherry trees in October. 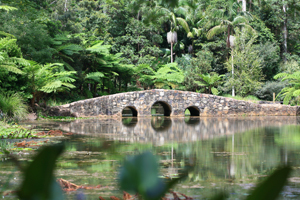 You will be delighted by the lake with its stone bridge and picturesque surrounds which include areas for picnics. You will enjoy exploring the various pathways, many of which are accessible by pushers and wheelchairs. You will be charmed by the boardwalk through the palm grove and you will be enchanted by the upper rainforest walk. 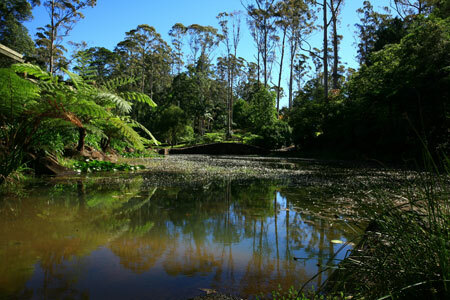 The Botanic Gardens is a Scenic Rim Regional Council property and is managed and developed entirely by Volunteers from the Tamborine Mountain Garden Club.